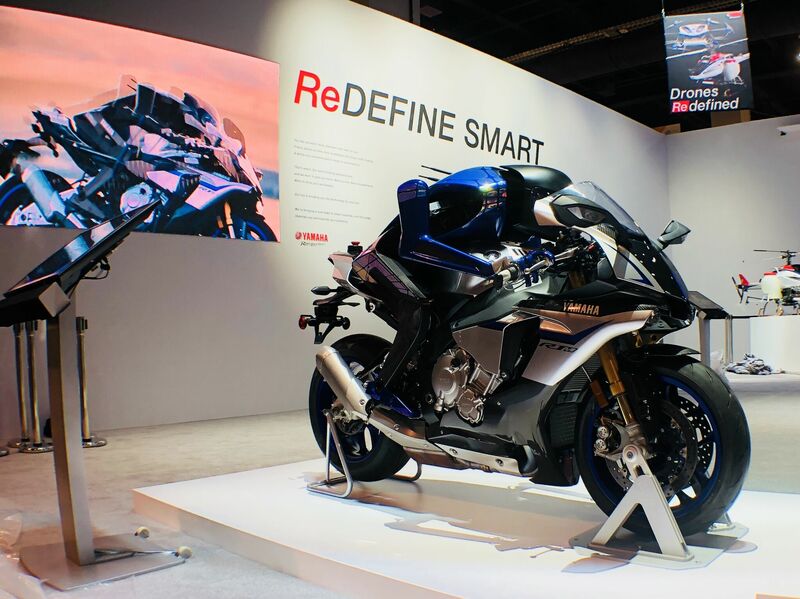 CYPRESS, CA--(Marketwired - January 09, 2018) - Yamaha Motor Co., Ltd. (TSE: 7272) and Yamaha Motor Corp., USA, are presenting an interactive display at CES®, the world's largest consumer electronics tradeshow, this week in Las Vegas, Nevada, including the U.S. debut of MOTOROiD and MOTOBOT Ver 2. Based on the theme of "expanding the possibilities of mobility with advanced technology," the Yamaha Motor exhibit, its first ever at CES®, will showcase the results of its research and development through demonstrations, such as of control, autonomous driving, and AI technologies. MOTOROiD, a motorcycle with built-in AI that recognizes its rider and is capable of automated riding, is being demonstrated in the Yamaha booth throughout CES®. 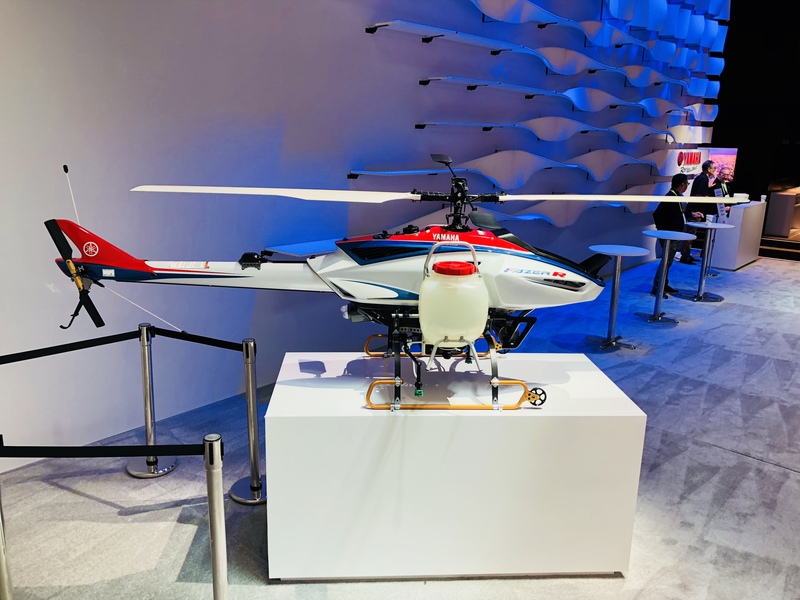 By participating at CES®, Yamaha aims to discover new partners from any field of endeavor, creating technological innovation and new businesses through open innovation. CES® attendees who are interested in seeing MOTOROiD in action are encouraged to visit the Yamaha booth #25602 for scheduled demonstrations. In order to create new experiences of Kando*, this experimental proof-of-concept model employs artificial intelligence and explores creating new forms of personal mobility in which the rider resonates harmoniously with the machine. MOTOROiD's development concept was an "Unleashed Prototype," and it is capable of recognizing its owner and interacting in other capacities like a living creature. By undertaking these kinds of development challenges, Yamaha is aiming to acquire technology for creating new value for its customers. 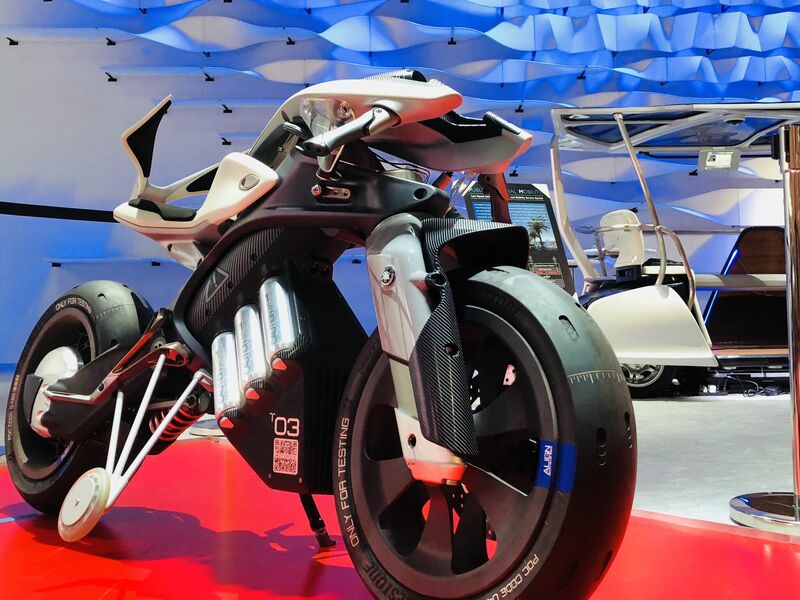 This autonomous motorcycle-riding robot, developed in collaboration with SRI International, combines the latest in motorcycle and robotics technology. Its purpose is to pioneer previously unexplored realms of research and development, improve motorcycle safety, and push the limits of what is possible in design and performance. Focusing on operation of the machine from a rider's standpoint without making any fundamental modifications to the motorcycle itself, MOTOBOT is now capable of riding at high speeds around a racetrack. The project goals set for 2017 were to clear the milestone of hitting over 200 kilometers-per-hour on a racetrack and to challenge MotoGP star Valentino Rossi to a battle of lap times. 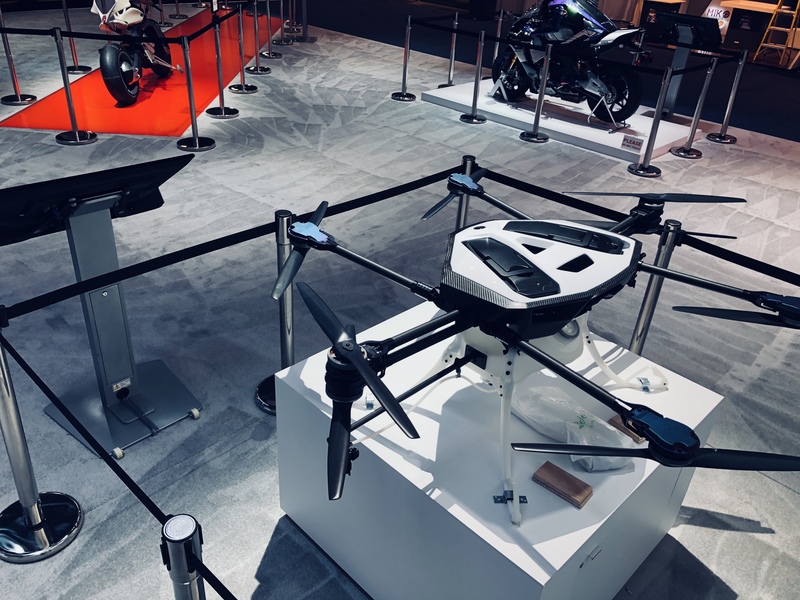 The complex underlying technologies and knowledge gained from the MOTOBOT project will be applied toward creating new value in Yamaha's existing businesses as well as toward pioneering new businesses. 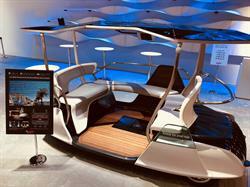 Envisaged for use in environments shared with pedestrians and over a distance of a few kilometers, this last-mile mobility system is aimed at safe, comfortable, and convenient on-demand low-speed mobility with peace of mind. Its purpose is to reinvigorate personal mobility by being an essential partner around towns and resorts. This low-cost autonomous driving vehicle recognizes its position through road image recognition technology, working as an integral part of a cloud-based management server system with high scalability. In addition, autonomous driving service providers can build distinctive Mobility as a Service (MaaS) arrangements through Web-APIs. Through combining coaxial rotor technology with the latest weight-reduction technology, the new YMR-01 delivers high spraying performance, ease of use, and reliability to meet the demanding requirements of today's farmers. The adoption of a layout in which two of the six rotor axes (one each on the left and right) have "vertical coaxial" rotors -- for a total of eight rotors -- creates the ideal downward air currents, and the placement of the spraying nozzles near the coaxial axes achieves consistent agrochemical application down to the roots of the crops. 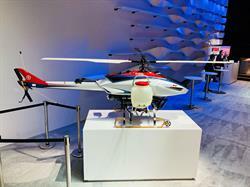 Agricultural high-end industrial-use unmanned helicopter. In addition to the features of existing models, the FAZER R adds the new "Turn Assistance" function as standard equipment to improve controllability and spraying performance by turning to maintain fixed spraying spacings, holding evenly-spaced flying paths, and maintaining flying speed. Operated simply by turning the spraying switch on and off, this function enables further improvement in spraying accuracy without relying on individual flying skill. Yamaha Motor (TSE: 7272) is a world-leading producer of motorcycles, ATV and Side-by-Side recreational products, marine products, power products, electric-assist bicycles and intelligent machinery. The company's diverse business and wide variety of products are built around its proprietary technologies focused on small engines, chassis & hull and electronic control. Yamaha Motor conducts global development, production and marketing operations through 140 subsidiaries and equity-method affiliates in 30 countries. About 90% of consolidated net sales are generated in more than 200 countries outside of Japan. The company is steadily restructuring its global engineering, manufacturing and marketing capabilities for sustainable long-term growth. Please visit https://global.yamaha-motor.com. Headquartered in California since 1960, YMUS also has facilities in Wisconsin and Georgia, as well as factory operations in Tennessee and Georgia. For more information about Yamaha, visit http://www.yamahamotorsports.com. Yamaha Motor Co., Ltd., MOTOBOT Ver. 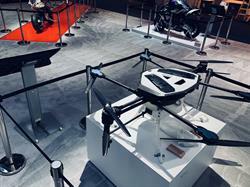 2 is an autonomous motorcycle-riding robot combining the latest in motorcycle and robotics technology. In order to create new experiences of Kando, this experimental proof-of-concept model employs artificial intelligence and explores creating new forms of personal mobility in which the rider resonates harmoniously with the machine. MOTOROiD's development concept was an "Unleashed Prototype," and it is capable of recognizing its owner and interacting in other capacities like a living creature. By undertaking these kinds of development challenges, Yamaha is aiming to acquire technology for creating new value for its customers. Yamaha Motor Co., Ltd. MOTOROiD Motorcycle with built-in AI which recognizes its rider and is capable of automated riding. Yamaha Motor Co., Ltd. (Tokyo:7272) and Yamaha Motor Corp., USA, are presenting an interactive display at CES®, the world's largest consumer electronics tradeshow, this week in Las Vegas, Nevada, including the U.S. debut of MOTOROiD and MOTOBOT Ver 2. 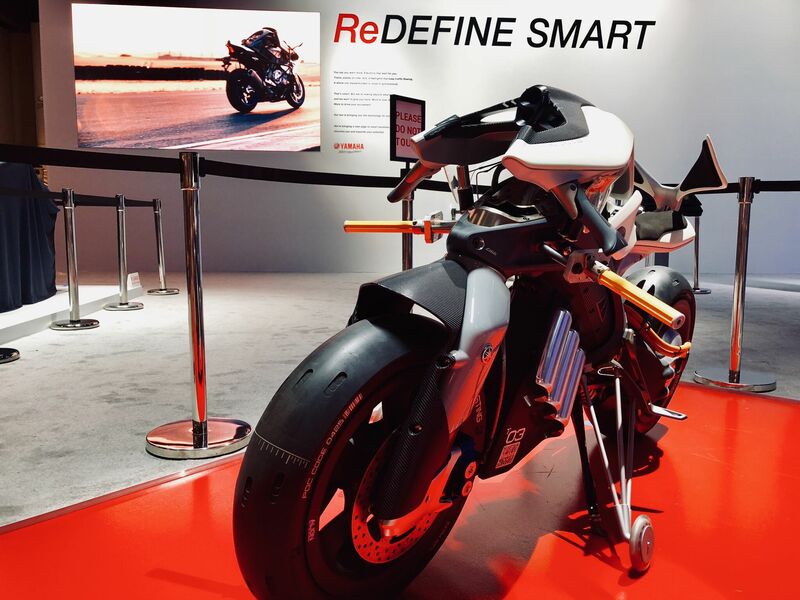 Based on the theme of "expanding the possibilities of mobility with advanced technology," the Yamaha Motor exhibit, its first ever at CES®, will showcase the results of its research and development through demonstrations, such as of control, autonomous driving, and AI technologies. 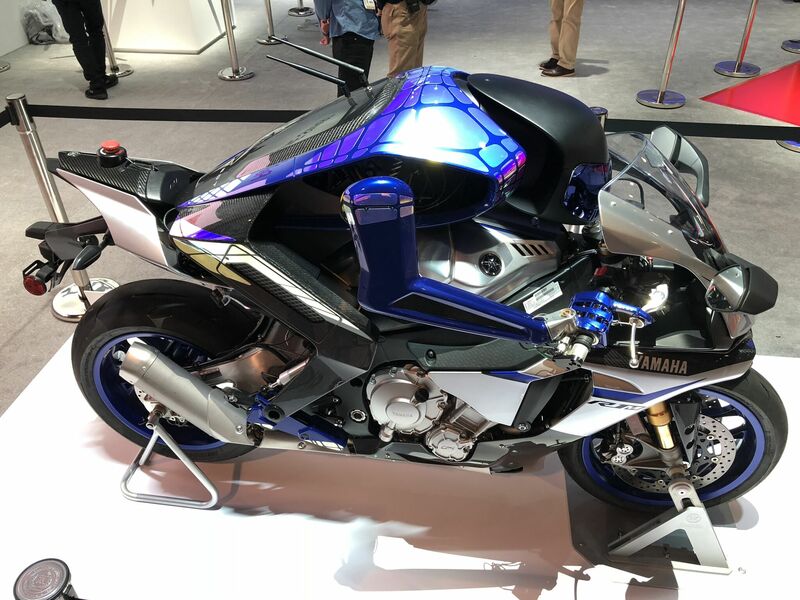 MOTOROiD, a motorcycle with built-in AI that recognizes its rider and is capable of automated riding, is being demonstrated in the Yamaha booth throughout CES®.